Born in Essex in 1981, Stacey Copeland moved to Manchester at the age of one. Stacey began training as a boxer at an early age at her grandad’s gym in Stockport, hoping to follow in her father Eddie’s footsteps, who became an ABA champion in 1979. Women’s boxing was illegal at this time so Stacey decided to take up football. Stacey’s competitive drive led her to compete in the women’s premier league, play in an FA cup final, and receive an England international call up. In 2010, Stacey decided to hang up her boots and commit to the ring, as women’s boxing was finally recognised as a main stream sport. 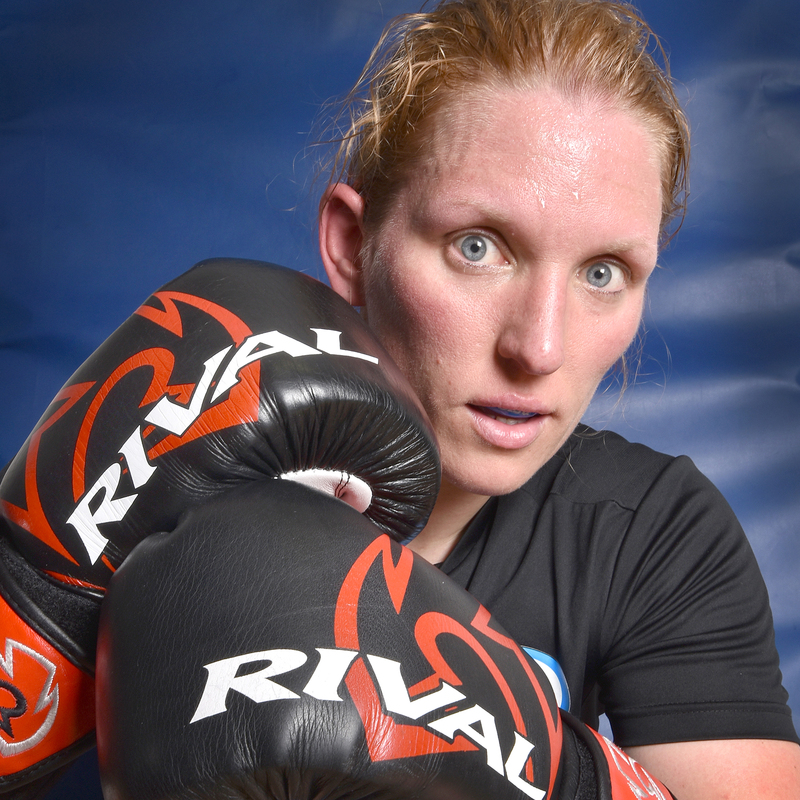 Stacey made her amateur boxing debut in 2011 and is now a three-time national champion. She turned professional in 2017 and remains undefeated with 4 out of 4 victories. Outside boxing she runs a project called ‘Pave the Way’, paving the way for girls and women to get into sport, whether that is taking part for enjoyment, working in sport or aspiring to be an elite athlete. Stacey she gives motivational talks at schools, colleges and other organisations, inspiring girls and women to reach their full potential through sport. Stacey also works as an outreach worker supporting young students at Parrs Wood High School in Didsbury. The kids she works closely with are amongst her greatest fans. “This shoot was a great opportunity to capture Stacey’s hard hitting boxing routine and portraiture that reflects the tough world of the boxer. Stacey was very encouraging and even insisted I climbed in the ring to photograph up close while she was sparring. It was a real challenge keeping up with the action. The posed portraiture was lit using a studio flash set up in the corner of the gym, using a blue crash mat as a background. This was my favourite image, the sweat droplets on Stacey’s face tell a story of her dedication to the sport”. Womanthology – Challenging the Myth..